Once again, the Rotary Club of Plimmerton was privileged to obtain places for two students to attend the Rotary Youth Programme of Enrichment (RYPEN) 2015. RYPEN is a programme for young men and women of 15-17 years who possess the qualities of decency, sincerity and application which deserves further development. RYPEN in Rotary District 9940 is organised by the Rotary Club of Taihape. It is held at the Kawhatau Outdoor Education Centre, 30 minutes southeast of Taihape at the foot of the Ruahine Ranges. The facility is owned by the Rotary Club of Taihape and is administered by a local Trust made up of Rotarians and local outdoor enthusiasts. The Kawhatau Centre can accommodate 48 participants, 24 of each gender, and 16 adult leaders. The programme is planned to challenge all participants in situations that develop confidence, leadership, team co-operation, physical limits and social skills. The principal aim is to communicate a series of ideas and problems, challenges and social experiences that will help participants to form their own values and moral standards. The hope is that it will broaden their horizons culturally, socially and physically as well as enhance their leadership skills. With 55 Rotary Clubs in District 9940 at present, clubs can only nominate two students (one of each gender) each year. The students sponsored by the Plimmerton Rotary both came from Porirua College. Tupe Smith is a delightful young woman with a bubbly personality and Moetu Moetu is a young man with talent. They represented their College and our club extremely well and apparently they both ‘stood out’! Both will come to the Club early in 2016 when they will speak about their experience and thank the club for their sponsorship. The students were nominated by Porirua College and interviewed with their parents to ensure that they understand the course content, what to take and what not to take. Being on the programme is certainly not a fashion experience as the students need several changes of clothing for such activities as white water rafting and obstacle ‘mud’ courses. Students also spend time at Waiouru Army Camp (the Saturday morning breakfast there was apparently ‘yum’!) negotiating their obstacle course. 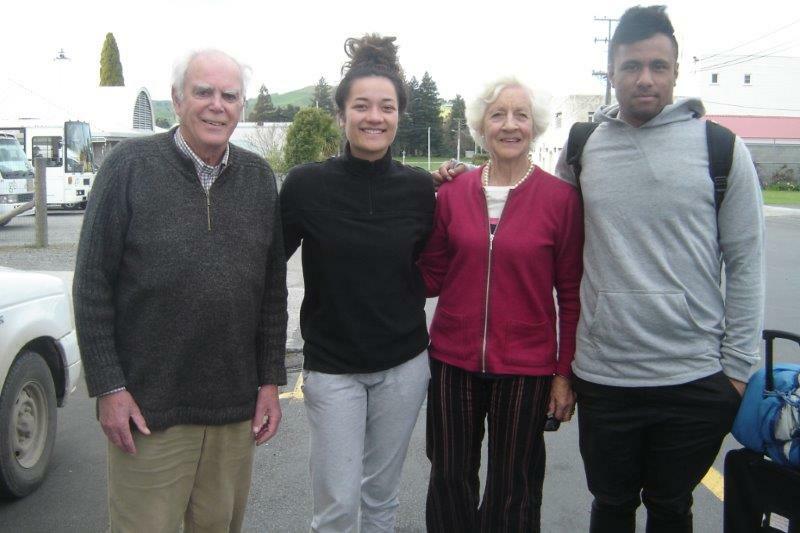 David and Velma Knight from Plimmerton Rotary collected Tupe and Moetu from their homes and took them to the Intercity Bus stop by 8.00 am on the Friday morning. 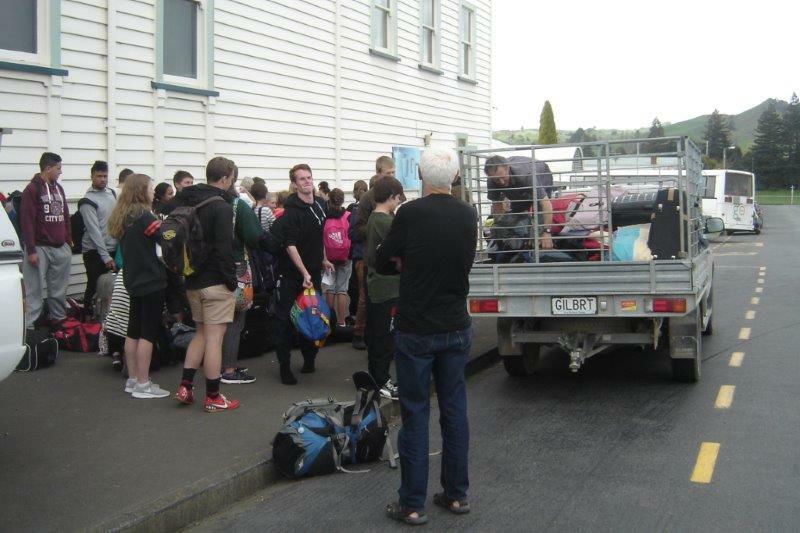 They arrived at Taihape at about mid-day where they were met by Rotarians and taken out to the Kawhatau Centre by bus. They were returned to Taihape after the completion of the course at 2.00 pm on Sunday. David and Velma collected them from the bus stop and drove them back to their homes in Porirua. It went without saying that they were both asleep in the back seat before they passed through Mangaweka. Was it a worthwhile experience? Yes! Was it of value to the students? Yes! Was it of benefit to Porirua College (both students are standing for the positions of Head girl and Head boy in 2016). Definitely! It is now a sought-after event within the college. The appreciation received from both the Principal and the Deputy Principal is sincere and honest. David and Velma expressed the pleasure they get from organising the programme for the club and for Porirua College. As David said, ‘Service to humanity is the best work of life’. Original generation time 1.6664 seconds.